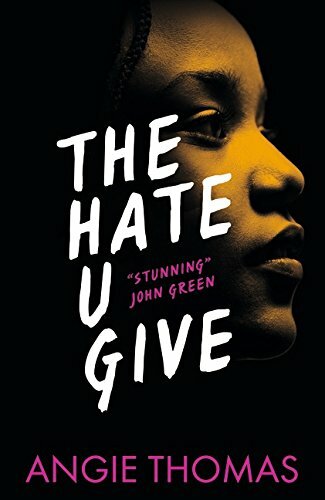 Sixteen-year-old Starr lives in Garden Heights, a poor and potentially lawless American urban ghetto although she hates anyone calling it that. She goes to school in respectable neighbouring Williamson, where she is one of only two black pupils. This proves a hard balancing act, given that she feels she must talk and even dance in quite different modes whichever community she is in at that moment. But when she and old friend Khalil are stopped in their car one night by a trigger-happy policeman who then shoots the boy dead without any real provocation, Starr has finally to decide where her loyalties lie. This novel is written with a real sense of informed urgency. Never mind that it is too long and sometimes repetitive. Thomas’s account of what it is actually like to fear any encounter however trivial with the local police force is unforgettable. She also vividly describes the experience of going to a party where gun shots break out and what it is like to live in an area with dope sellers on every street corner. Her own family remains warm and supportive while other adolescents her own age fare badly at home. Everyone knows who the local drugs baron is, but no-one dares take him on as he spreads corruption among teenagers looking for ways of earning spare cash. This novel was inspired by America’s Black Lives Matter movement. With publication in 14 different countries and a filmed version on the way it deserves to make a major impact in its own right. Its tragic story is made bearable by the love that keeps Starr’s family going and her own lively teenage reactions to what is going on around her. Her touching relationship with her white boyfriend throughout also carries its own message of hope. Written in a dialect that is never difficult to follow, it is as powerful an argument for mutual understanding and compassion between those urban dwellers of varying colours and incomes as it is possible to imagine.